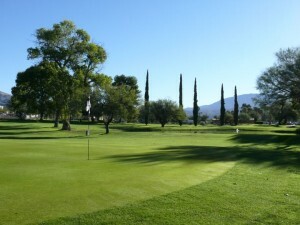 Forty Niner Country Club Subdivision is located on the East side of Tucson. The subdivision borders Tanque Verde Road and is built around the golf course. Forty Niner Country Club subdivision offers a wide range of home styles. Mature trees and views of the mountains and golf course, make this a pleasant setting. Forty Niner Subdivision provides another alternative to those interested in a Tucson Golf Home. Forty Niner Country Club families are served by the Tanque Verde School District. Schools include the Tanque Verde Elementary, Emily Gray Middle, and Sabino High Schools. Other Tucson Home subdivisions near Forty Niner Country Club include Reddington Ranch, La Cebadilla and The Lakes at Castle Rock. Also nearby is the Tanque Verde Ranch. One of the few remaining “dude ranches” in Tucson. The rich and colorful history begins with the Pima Indians. The “Tanque Verde” Ranch is named for the “green pool” and the seasonal river that the Indians used as a source of water. In 1868 the land surrounding the tanks was purchased by Emilio Carrillo, a Mexican hacendado (the owner of a large estate) from Santa Cruz. By the early 1900’s, Jim Converse owned the ranch and began inviting eastern dudes to participate in everyday ranch activities. In 1957, Brownie Cote purchased the property. He expanded the existing operations and created a combination of a classic western dude ranch and world class resort. The Cote family continues to maintain the ranch. The Tanque Verde Ranch offers a variety of lodging options that provide guests with spectacular scenic views of the desert and mountains. Interested in searching Homes For Sale Tucson AZ? We Can Help! Questions about the Forty Niner Country Club, Tucson Real Estate Market or Homes In Tucson Arizona? Call Us 866 316 5575 OR complete the CONTACT FORM and we will get right back to you!